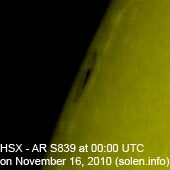 Last major update issued on November 17, 2010 at 05:05 UTC. 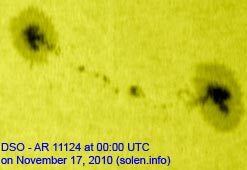 The geomagnetic field was quiet to unsettled on November 16. 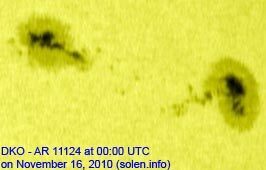 Solar wind speed ranged between 469 and 617 km/s under the influence of a high speed stream from CH427. 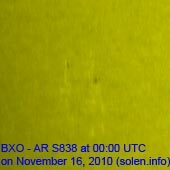 Solar flux measured at 20h UTC on 2.8 GHz was 91.8 (up 7.9 over the last solar rotation). 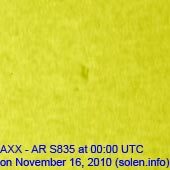 The planetary A index was 6 (STAR Ap - based on the mean of three hour interval ap indices: 6.5). 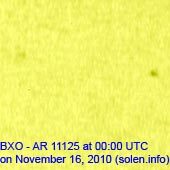 Three hour interval K indices: 31012311 (planetary), 31112311 (Boulder). 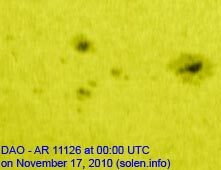 New region 11127 rotated into view at the northeast limb late on November 15 and was numbered the next day by NOAA/SWPC. 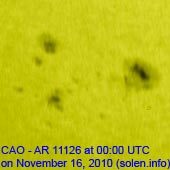 November 14-16: No obviously Earth directed CMEs were seen in LASCO or STEREO images. 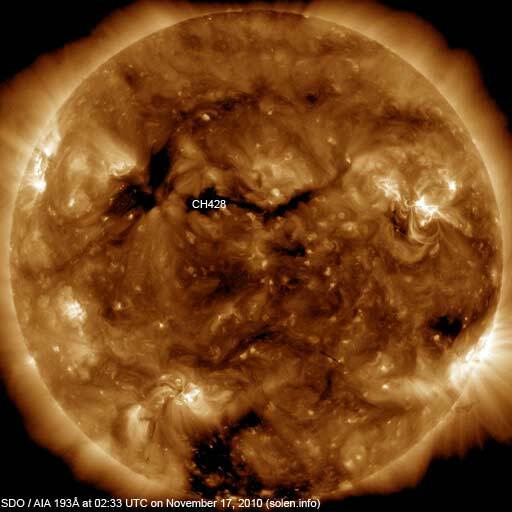 An elongated coronal hole (CH428) in the northern hemisphere will be in an Earth facing position on November 16-18. 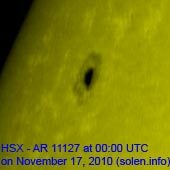 The geomagnetic field is expected to be mostly quiet on November 17-18. 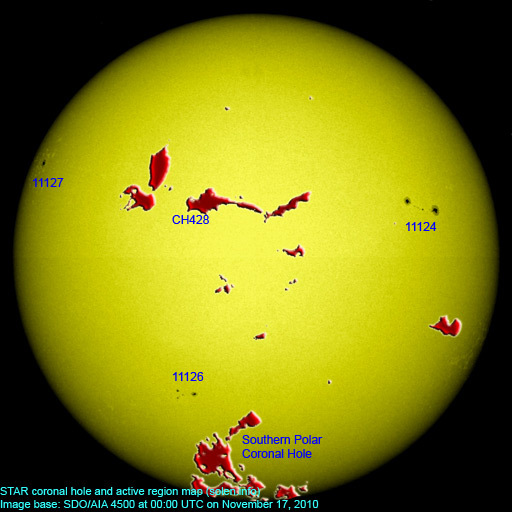 Effects from CH428 could cause quiet to unsettled conditions on November 19-21.